In a modern, digitally driven economy, businesses are run globally at breakneck speed. Millions of systems are incessantly talking to each other and trillions of bytes of data keep getting generated, day on day - 24X7X365. The Internet has transcended all geographical barriers and the lives we lead today are both - challenging and complex. As you are well aware, this disruptive world offers an overdose of business information and critical statistics. Tremendous financial, business and legal ramifications exist today alongwith aspects such as ownership of business information, civil and criminal liabilities, data protection, privacy, cyber-crimes etc. The mission critical roles of general counsel have shot up exponentially and have also undergone a major metamorphosis. The legal services marketplace has also become more evolved, dynamic and demanding and is virtually re-shaping itself with every passing year. Globalization has brought along a bag full of regulatory and compliance dimensions. A general counsel is not merely a part of the management core team but plays a crucial role in adherence to tax laws, compliance, and regulations. A general counsel is also the vital link between the company and the executive board and hence accountability goes up multi-fold. The 2nd Annual INBA General Counsel Summit 2019 will strive to seek answers to the most pertinent challenges faced by Indian General Counsel communities today. The theme of this year's conference is "Tackling The Future...Today"
This forum will provide a meeting place for related domain professionals (from Manufacturing, BFSI, IT, Law, Pharma, Telecom, Government and other major verticals) to gather under one roof for in-depth deliberations on a variety of topics as also provide perfect avenues for networking and business matching amongst industry peers and colleagues. Indian National Bar Association (www.indianbarassociation.org) is focused on taking the Indian legal industry and its members to newer heights. Representing the entire legal ecosystem in India, INBA is surging ahead to expand its members' professional network and help disseminate rich industry insights. As a mark of respect and admiration for the challenging and yeoman services rendered by GCs to corporate India, INBA takes pride in announcing the INBA 2018 GC Recognition. This reputed awards ceremony will be held on the side lines of the concurrent conference and will recognize the immense professional contributions of general counsels across verticals and functions, and who through their sheer hard work and perseverance have surmounted various obstacles to efficiently drive their team towards greater success in this complex legal world. In other words, INBA will attempt to award those professionals who have shown intense dedication to constantly innovate and who have consistently delivered efficient services through better technology and business ideas. Winners will receive a trophy and citation, while all short-listed professionals will receive Certificates of Recognition. Please stay tuned for a full conference agenda. 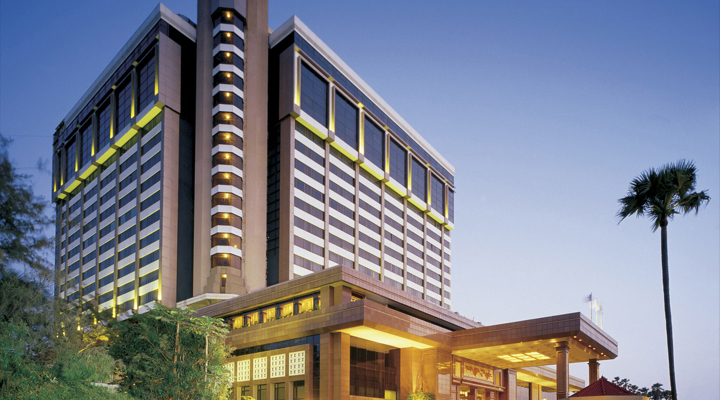 Taj Lands End is ideally located in the queen of Mumbai's Western Suburbs, Bandra. Known for its distinct character, diverse community, vibrant nightlife and shops, eateries and promenades, Bandra is a preferred gateway for the Indi-curious. This luxurious five-star hotel is perched atop the Bandstand. From here, you are treated to dramatic views of the city's stunning skyline and the emblematic Sea Link, as well as the historical Bandra Fort and the calming Arabian Sea. South Mumbai-comprising the city's main business localities, tourist destinations, shopping and historical attractions-is only a quick ride across the Sea Link. North Mumbai and Bandra-Kurla Complex are conveniently close, as are the domestic and international airports. Divya brings with her over 23 years of rich and diverse experience, having held prominent legal and secretarial positions in leading corporations. Divya Kumat has been heading legal and secretarial functions at Datamatics for over 14 years. She leads all legal, secretarial, IPR, and contract management for more than 30 group companies in India and overseas and is a key player in all in-organic initiatives of the group, such as joint venture collaborations, mergers, acquisitions, and amalgamations globally. She is credited with formulating and enforcing several legally binding policies and frameworks including the Contract Management policy, Insider Trading policy, Whistle Blower policy, and Investor Grievance policy, Prevention of Sexual Harassment policy to name a few. Her efforts to secure various copyrights, trademarks, and service mark registrations globally have served to improve the company's IPR wealth. Prior to joining Datamatics, she was the Legal Head at Computer Sciences Corporation (India), a US MNC in India. She has addressed various forums in India and overseas as a guest speaker or key note speaker on topics like Contract Management, Role of General Counsel, Companies Act, POSH and other relevant topics. Her most cherished accomplishment was being rated consecutively for 3 years, as the best performing manager in the peer review survey of senior managers within the organization globally. Recently her article on Indian Litigations was published in the International Legal Magazine by Cambridge University Press. Divya holds a dual Bachelor's Degree in Commerce (Honors) and Law (LLB). As a Gold Medalist in LLM, her final thesis presentation was on the subject of International Arbitration. She is a fellow member of the Institute of Company Secretaries of India (FCS) and a merit holder in ICSA, London. She has been a proud recipient of several notable awards and global recognitions viz. Leading Woman Company Secretary 2011; Leading Woman Owned Innovative Project Award 2013; Best Use of Technology & Innovation in Legal 2013; General Counsel of the Year 2014 (Female); Best IT Legal Business Leader 2017 - India by AI 2017 [UK] and Star Echelon – In-house Category during The Leadership Summit & Excellence Awards, 2017. She was also recently listed as top 100 General Counsels of India in 2017 by Legal500. She was also featured as India's Finest In-House Counsels in the 2017 Edition of "Trailblazers" published by the Ministry of Law & Justice and the Department of Commerce, Government of India in collaboration with In house Counsel Worldwide and the Asia Pacific Corporate Counsel Alliance. She strongly believes and practices the saying, "Whatever one does, one should do it with full commitment and passion." 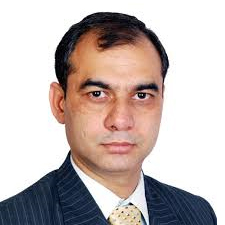 Sujeet Jain is Group General Counsel & Company Secretary of Viacom18 Media Pvt. Ltd. At Viacom18, Sujeet has been witness to the company's multi-fold growth over the last decade. He was a part of the leadership team for launch of Colors, one of the most successful media brand launched in India in last decade and has played pivotal role in setting up of distribution venture for the group i.e. Indiacast (erstwhile Sun18). Notable awards and recognition for Sujeet includes - recipient of youngest GC award in 2012-13 by Legal Era, Leadership Excellence Awards 2017 in Media category, and featured in GC Powerlist India 2016 of Legal 500. Under his leadership, the legal team at V18 has been recipient of Best In-House team in media and entertainment category for 4 years in row and in 2017 it was the only team from M&E sector to feature in Legal500 India Teams. Prior to Viacom18, Sujeet worked with People Group (owner of Shaadi.com and Mauj) as Head of Legal & Corporate Affairs and Hutch (now Vodafone) in senior corporate legal role. Throughout his career, he has worked with media, telecom and IT businesses and his passion for the subject of convergence is reflected in his career choices till date. Sujeet is a qualified lawyer, company secretary, cost accountant, and holds MBA from Warwick Business School, UK. He is a Council member of Broadcast Content Complaints Council (BCCC) and BARC Disciplinary Council (BDC). He also represented Indian Broadcasting Federation(IBF) on the Task Force formed by Government of India to implement Digital Addressable System (DAS) in the country. He is also a member of CII National Committee on Media and Entertainment. Active on many initiatives in the broadcast industry, Sujeet is a regular speaker at industry fora. Sandhya Vishal joined Nielsen in March 2016 as a Chief Counsel and Integrity Leader for South Asia, after spending many years in banking and consulting. Sandhya is a member of the Nielsen South Asia Leadership team and in this role, she supports the business in all legal matters, including policy creation and enforcement, government relations/affairs, governance support, litigation support, and merger and acquisitions. Sandhya also manages the Ombudsman and Compliance program for South Asia. Sandhya has been recipient of certain awards in the legal profession. Under her lead, the Legal Team in India got recognized in the The Legal 500 GC Power List. Sandhya joined Nielsen from ANZ Banking Group Limited where she was previously the Head of Legal for India. Sandhya's experience in ANZ over 8 years covers assisting the business set up their operations in India, providing legal and regulatory support on various products and assisting in strategic business initiatives. She has handled high value litigations and managed senior regulatory relationships and complex regulatory matters for the Bank in India. Sandhya also has experience in managing and interfacing with senior regulators, Government and Consular officials on branch expansion, policy matters and DFAT objectives. Prior to joining ANZ, Sandhya worked for PwC for around 5 years heading the legal practice within the Tax and Regulatory team and advised clients on a host of corporate and commercial issues. Sandhya started her career in 1999 in private practice with a law firm in New Delhi where she gained experience in laws relating to foreign direct investments and corporate law. Sandhya holds a Bachelor of Law degree from Mahatma Gandhi University, Cochin. Sandhya speaks at conferences on various issues including topics like compliance and diversity and is a member of the Diversity Council in Nielsen. Preeti Balwani is General Counsel at Kraft Heinz India. Ms. Balwani reports directly to the Managing Director and is a member of the India -Executive Leadership Team. In her role as the company's chief legal officer she is responsible for the Indian business unit's legal affairs including litigations, corporate matters, regulatory affairs and brand protection. The organisation's Regulatory Affairs department also reports to her. Prior to joining Kraft Heinz India, Preeti has also served as the Deputy General Counsel for the Welspun Group and as a M&A Partner at Rajani Associates and Partner, Mumbai Corporate Office at Khaitan, Sud & Partners. Preeti is on the Executive Committee for the Confederation of Indian Industries (CII) Young Indians Mumbai Chapter and is a Patron Member of the International Bar Association. Preeti has a keen interest in how digital technology transformations can help in-house legal teams, start-ups, brand protection and innovation. She has authored articles on start-ups and taxation of digital transactions in India. She routinely speaks at various forums on IPR, gender diversity, women in the board room, sexual harassment laws, data privacy and corporate governance. Mr. Chawla completed his Bachelor of Laws (Hons.) from Delhi University. Mr. Hemant Kumar serves as the Group General Counsel for Larsen & Toubro, India's leading technology, engineering, and construction conglomerate. A seasoned legal professional with over 30 years of experience, Mr. Kumar comes from a family of lawyers, corporate counsels, and judges. An expert in litigations and arbitrations under both Indian and International Laws/Acts Mr. Kumar is well travelled and has dealt with cases in UK, US, France, Australia, Singapore, Middle East, and Africa. He also has considerable expertise in foreign investment and FEMA regulations both for in-bound and out-bound investments. Mr. Kumar has previously held senior positions at State Bank of India, Reliance ADAG, Steel Authority of India, JSW Steel, and Global Business Global Steel Holdings Ltd (GSHL) is widely recognized as a leader in the legal fraternity. He has been a recipient of many prestigious awards including Jawaharlal Award, one of SAIL's highest honors, Business Excellence Award (2015) by Legal League Counsel, and General Counsel of the Year (2013) by Legal Era magazine. Presently Sachin is working as the Legal Head at Bharti AXA Life Insurance Company Limited. Having pursued my Bachelor's degree (LL.B) from Campus Law, Garhwal University, Pauri, District Pauri Uttrakhand in the year 2002 and master's degree (LLM) from one of the top 10 ranked college New Law College, Bharati Vidyapeeth, University Pune in the year 2004 having specialization in Corporate Law and Intellectual Property Rights Law. He had an opportunity to work in my initial days with esteemed personality Hon'ble Mr. G.B Patnaik, Former Chief Justice of India and Mr. Yashobant Das, Sr. Advocate. In the corporate organizations I have been associated with as Vodafone, Samsung and Bharti Retail. Sachin started his journey of professional as a faculty of law with New Law College, Bharati Vidyapeeth and have a rich experience of fifteen years not only in the legal fold but also in the compliance fold and have a wide experience of handling a diverse range of legal matters in different industries like Telecom, FMCG, Retai, Electronics, HME, Consumer Durables & Insurance. He always been open to challenges and learning, never been coy of taking up new tasks in any environment. Sachin's career is and will always be a means of learning and exploring the unconventional. Demonstratively, today heading the legal team at Bharti AXA Life Insurance Company Limited and is responsible for all legal matters governing the working of the Organization which include Corporate, Criminal, Civil, IPR and Consumer litigation matters including employee litigation related matters, contract management and other aspects of non-litigation activities. Moreover with a penchant for research and love for academics, he continues to hold keen interest in interacting with and tutoring law students on a wide array of subjects beyond the rote learning of textbooks. He has been selected as one of the top 500 counsels in India recently which got published by Intellectual professional (LLP) www.worldipforum.com; Nominated and selected by Jury for Legal Era "Under 40 Rising Star Award 2017" and Nominated and Awarded by Indian National Bar Association (INBA) Emerging In-house Counsel of the year 2017". Apart from the litigation have been also successful in major real estate business deals, IT infrastructure major contracts, timely and diligently deliverable of legal opinions, advisory Contract management, HR (labour dispute) and other day to day legal requirement of business. Advisory support on employment laws, lease documentation, litigation, IPR, etc. Anirudh Rastogi specialises in general corporate legal practice encompassing foreign investments, venture capital investments and other kinds of commercial matters. He regularly advises hi-technology ventures and growth stage startups on contractual, regulatory and policy issues. 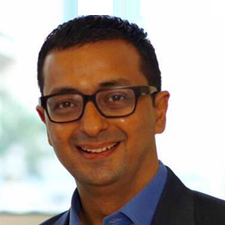 Before co-founding TRA, Anirudh was based at the Singapore office of O'Melveny & Myers, a leading multinational law firm, advising clients on their India investment and divestment strategies. Prior to that, he worked with Nishith Desai Associates in Mumbai. Anirudh is the author of a book titled "Cyber Law: Law of Information Technology and Internet" published by LexisNexis. He also publishes regularly with the Huffington Post and Tech In Asia. A skillful negotiator, Anirudh has trained in advanced negotiation and deal-making at the Harvard Law School and Harvard Business School and trained post-graduate law students in Singapore in negotiation as faculty of the Singapore Institute of Legal Education. He regularly advises the Department of Economic Affairs at the Ministry of Finance on policy related issues. He mentors startups and speaks often at various fora such as IIT-Delhi and Ashoka University. Anirudh Rastogi was named an Achiever of the Year, 2017 by BusinessWorld. Anirudh Rastogi was named an Achiever Under 35, 2018 by Idex Legal. 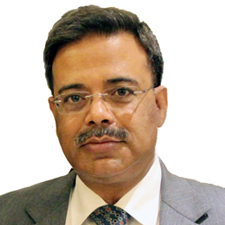 Pankaj Patel is a Chartered Secretary from the Institute of Chartered Secretaries & Administration, London and a qualified Company Secretary from the Institute of Company Secretaries of India. He also holds a degree in Master of Law (Commercial Law 1 & 2) in addition to being a Fellow Member of the Insurance Institute of India. He has been a Lecturer in Law in Ruia College and is also a visiting faculty on legal perspectives in the retailing industry at management institutes. He is currently pursuing a Phd. from Mumbai University. Has worked previously with the Panoramic Group of companies as a Company Secretary before joining Future Group as Head – Legal.A thorough professional, his strengths include negotiation skills in addition to working out litigation & planning strategies. Overseeing procedures on cost optimisation & economisation he also provides insights on professional academics and its practical implementation. Pranav is the Senior Legal Counsel at Snapdeal.com (Indian e-commerce company based in New Delhi, funded by Softbank, eBay, Alibaba, Foxconn & Ratan Tata). He graduated from Amity Law School, Delhi, and has over the years contributed to the ecosystem of legal jurisprudence, be it context setting work for development of laws or assisting in development of jurisprudence at par with mature jurisdictions. In his previous avatar he focused majorly on practicing competition law. His main areas of work now include legal, regulatory and compliance for the e-commerce giant. As the senior legal counsel, he handles new challenges ranging from application of food safety laws to legal metrology, advertising to contracts, website policies to cyber-crime, drugs & cosmetics law to IT Act, plastic waste management to wildlife protection. He also advises the business on implication of new ideas, strategies and compliance. He has been felicitated with the "Emerging In-House Counsel of the Year Award 2017" by Indian National Bar Association. A very prestigious award for the young inhouse counsels and this year he was awarded as the "Best Inhouse Counsel of the Year 2018: E-commerce" by Mr. Ram Jethmalani. He is currently writing a book titled, "Over Regulation and/or Policy Failure". TRA is a law firm that specializes in representing technology businesses and investors, and startups to more mature companies focussed on new business models. We work with our clients on Private Equity and Venture Capital investment transactions, Mergers and Acquisitions and other commercial transactions, intellectual property, regulatory and policy issues and disputes. Our work is at the intersection of law, policy, regulation, technology and business, engaging with crucial issues such as data protection, privacy, net neutrality, a regulatory framework for crypto-currencies and unmanned aviation (drones), among others. The firm takes pride in its representation of clients doing cutting-edge and high-impact work, from Koinex and initial coin offerors (cryptocurrencies), Udacity (ed-tech) and Hyperloop India (transport) to Team Indus (aerospace), Capital Float (fin-tech), Kross Pictures (film production), Cardekho (e-commerce) and Flyrobe (rental e-commerce) to the Partition Museum. Rated as a leading law firm and "knowledgeable", "influential" and "effective" by The Legal 500. Rated by VC Circle as one of Top Legal Advisors for Private Equity and M&A. Managing Partner, Anirudh Rastogi was named an Achiever of the Year, 2017 by BusinessWorld. Satwik Shekhar is currently a Consultant (Legal) at the level of Assistant Professor at the Centre for Trade and Investment Law, Indian Institute of Foreign Trade. He has previously worked as an Associate in the New Delhi office of Cyril Amarchand Mangaldas. Satwik's current areas of focus include WTO law, trade regulation and international investment law. He holds an LL.M. in International Law from The Graduate Institute, Geneva, Switzerland. Mohit Shukla is Head of Legal & Compliance. Prior to joining Barclays in 2010, he was with Citibank for nine years as Citi's Country General Counsel for South Asia. He has over 20 years of work experience with a diverse background, including the metals manufacturing, tobacco and hospitality industries, prior to financial services (first with the ANZ Group).